Five years, four months, one week and three days on from the birth of my daughter, asleep. I'm 30. I'm a wife of one. A mother of three but a mother of two. I'm so much more than that too but my family relationships define me. These roles are where I feel truly comfortable and not all that comfortable all at the same time. I sometimes feel like I'm living parallel lives. Constantly trying to find the gentlest, more appropriate and beautiful ways to combine those lives. I'm a woman who feels cheated of my youth. I lost those years to grief. Ironically, I feel younger now than I have for a very long time; this good place the last few months has left me feeling so much lighter, youthful. Glimpses of the me before death coloured by life. Age 30 has been a very healing year so far. I'm beginning to like this 'me' again now. Is this the definition of our 'new normal' life? I guess the best most recent self-portrait of myself is this post. And so I'm going to finish this short post today and invite you to read or re-read the post called 'The Decade I Called My Twenties' - I wrote it in April not long after my 30th birthday, a reflection of some the happiest and the hardest time decade of my life so far. Bereaved Mother. Rainbow Mother. Heartbreak. Joy. Death. Life. But most of all love. Day 27. Capture Your Grief. Self-Portrait. Back in 2012 I joined in a blog hop called 'Reasons to be Cheerful'. Alexander was a few months old and after a year of intense grief and another year of intense grief and anxiety I was making a conscious effort to find the beauty in life again. Alexander changed so much for me. So I managed to join in Reasons to be Cheerful for eight weeks at the beginning of 2012 and for the whole of 2012 I took a photograph and blogged it every day. Picturing Twenty Twelve was all about healing in its own way. Capturing the big, small, random, funny, anything moments of our days. I wanted it to be the more lighthearted side of our family. I've continued recording a photo a day since in an app on my phone. I take multiple photographs every day, I love instagram (you've probably all noticed!). I love sharing and I love seeing other peoples photographs too. Reasons to be Cheerful blog hop was all about Gratitude. Today is about Gratitude. Realising even when grief and death walk alongside this family that we still have a beautiful life. As Lilo and Stitch would put it; This is my family, little and broken, but still good. So in the reminisant style of those Reasons to be Cheerful blogs, here is why I am grateful or cheerful this week. This week has been half term so I have had a week off work. I was ready for the rest and break. I've been grateful for time off work. Alexander has obviously been off school and Jon booked annual leave for the week. I've been grateful for family time. Saturday we visited the library. I've been grateful for the beauty there is in reading to my children. Saturday we visited the soft play centre and Zachary went down the big slides for the first time. I've been grateful for first experiences with that rainbow boy and being able to play with him. Sunday we went to church. I'm grateful to find a calmness being part of my church community and the lovely friends I have there. Sunday we went to the park. Alexander and Zachary did some climbing up higher than ever before. Even though I was pretty anxious they were going to fall (understatement!) I was grateful to be able to watch how proud they were of their achievement! Monday we went muddy puddle jumping with a good friend and her boys. What a lovely time they all had channelling their inner Peppa Pig. I was grateful to watch how happy they were. Tuesday we went to music class. A weekly favourite for Zac. I'm grateful for music. Tuesday we visited Cardiff Museum, which included a bus ride. I was grateful for the convenience and cheap ticket of park and ride compared to car-parking and the children's joy of going on the bus. Wednesday we went to see Peppa Pig at the Cardiff Theatre. I was grateful for another day making memories. Especially Zac's utterly excited, thrilled little face when Peppa came on the stage. Thursday morning we stayed at home. I put all the garden toys and furniture into the garage for the winter. I was grateful we have a garage now! Thursday afternoon we went to the farm. It was really quiet, like we had the farm almost to ourselves. The boys loved the space, it was really calm and I was grateful for that. Today we spent the morning with my online antenatal friends, what a lovely playdate! All the children played beautifully together and my friend gave me the seasons collection of 'Guess How Much I Love You' books, knowing this is Belle's story and how special it is to us. I especially love the Summer book. I'm always so grateful for peoples kindness and thoughtfulness. What a beautiful gift! This evening we spent the evening with my family. Today I'm grateful for a lovely family. I'm grateful for the boys cousins on both sides of the family and the memories they are making with them too. Best photograph of the four boys on my side of the family yet this evening! All in all we've had a really lovely week off, and only 7 weeks to go until our next time off at Christmas. Day 26. Capture Your Grief. Gratitude. Earth Remembrance is about planting something in a meaningful way to give our a children a place in this world to grow. I've never really thought about it like that before - her place to grow. I'll admit I haven't planted seeds or flowers or trees today like the workshop suggest that we do, quite the opposite infact; I nearly pulled up the flower we planted in June for her birthday, but the weather was far too wet this morning for me to brave gardening! We're into the full swing of autumn now and the plants are started to look old and tired. Very soon they will start to die off and before the weather turns much more I need to give her space in our front garden a good sort out so the daffodil bulbs already planted will have good ground to sprout up into during the spring. Each birthday part of our ritual is creating a home garden space for her. This part of the day felt especially important on her 5th birthday, this year, because we had moved into our new home and we were creating her a brand new space. We had a real garden now, not just a small outdoor patch infront of the front door like at the old house. Each year we visit the garden centre and choose pretty pink flowers to transplant into pots (and now the ground) in the garden. This year My Dad, Anabelle's Bampi took the garden centre trip and came home with pink flowers. We spent days before preparing the ground. Dad helped, assisted by Alexander. 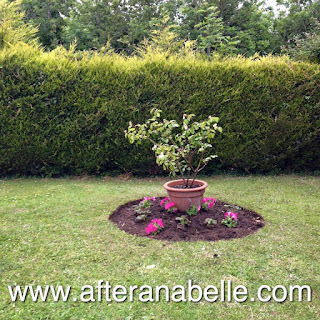 A circle was dug fom the front grass to create a flower bed area, an area where her rose would stand proud in the middle, and then under the window was cleared of the mess and the weeds to lay bark chippings. On top of those bark chipping we filled the area with flower pots and placed her birthday present there too - her wishing well. This year she had a wishing well planter for her birthday. We tied bells to the handle and placed her ceramic heart in the bucket. In the well her brothers each planted a penny to make a wish and a fairy was hidden in amongst the pink flowers. We are not remotely green fingered for the remainder of the year, but on her birthday we made Earth Remembrance part of our routine without even realising it. Giving her her place to grow, in her season. Day 25. Capture Your Grief. Earth Remembrance. This post might need a deep breath. I'm supposed to explore where I really am with my grief right now. Pay attention to my inner thought patterns. Pay attention to what is tugging at me. Explore how I'm feeling and where I want to go with it. Largely I'm in a familiar annual pattern now. Life is a rollercoaster could not be truer. The inevitable meltdown towards and through June is a given. Worryingly each year seems harder. I react violently to Anabelle's birthday, I struggle to keep my composure. My heart breaks all over again. Flashbacks and a life stuck in June 2010. Remembering each dates of that month and what it meant and what it could've meant. And then July arrives and I start healing again. This year has been the best, most quick recovery from June in the five years we've been living this. This summer, this autumn has been good and I've been good. I've felt the most emotionally strong I've felt maybe since she died. But I know the next low is coming. Traditionally my Christmas low really hits on Boxing Day. Boxing Day I want to hide away from the world. Even though we have the boys, Anabelle missing on Christmas Day painful. We have our Christmas ritual of visiting her garden late morning and leaving Christmas flowers and the boys opening some gifts for her. She is included in our dinner time with a special candle lit for her and a personalised Christmas Cracker, her cracker. But it is exhausting. Even when we're happy, there is sadness. This sadness waits for Boxing Day, but on Boxing Day I need space. Quietness and space. Then there is Mother's Day. Mother's Day that has a new plan. Now there is Mother's Day weekend; Saturday which I give to Belle and give to my grief and Sunday that I'm giving to my rainbow boys. Then there are all the unexpected days, events, moments in-between that catch you off guard and leave you wobbling. I decided to join in Capture Your Grief this year because I realised I hadn't made time for my grief for such a long time. Naturally most posts are written on a low, because on a low I need to process so much more. But sometimes I need to write and don't make the time, I internally process, but interally processing doesn't always leave it dealt with. So I decided for Babyloss Awareness Month of October I would join this project and use the workshop to consciously explore grief using the prompt title it gave me. Because grief is ever evolving, ever moving and I'll only be healthy if I try moving with it. Conscious grief work and reflection is so necessary. This workshop has given me the space so far to re-visit places in my grief I haven't explored for such a long time. It has felt weight-lifting to work through these titles and allow my mind the time to see where it takes me. All these posts have been important. But today, this title, I think is much harder; if I am to really to Choose My Breath and be true. Some things are not easy to explore, or even to admit. Here goes. Please be gentle with me. By far the greatest trigger for me has been, and continues to be baby girls. Other's baby girls. My lack of baby girl. Oh how I'm filled with anxiety when someone announces they are having or have had a baby girl. These announcements are hard, not because of jealousy, not really, but because of sadness. Utter sadness that we don't have our baby girl. Haven't had a baby girl. Small baby girls fill me with anxiety. I'm nervous of my own feelings and reactions. Even though I have conquered many things I still haven't conquered my initial nerves around newborn baby girls. But once they are a bit older I'm fine. How ridiculous is that? Sometimes friends daughter's tug at me. Sometimes it can be as simple as how pretty their shoes or clothes are. A photo of them dressed in a ballerina costume, or dressed as Princess Belle. And I realise how much I want that too. I want Belle of course I do, but I want a girl too. I'm going to put this out there now even though I hope I don't have to say it really. I LOVE my boys. I love them absolutely, without measure. They've been my greatest healing. I was fearful how I would react to the news especially that Zac was a boy at that 20 week scan, and it turned out those fears were unfounded. He was mine, always mine, my Small and it didn't matter a jot what his gender was. I was in-love again. But I'm still there. What if we never have another daughter? I don't know how I will accept never having a daughter here at all. We're hoping to welcome our final baby into this family sometime in 2016. No this isn't a pregnancy announcement, but we're hoping one will be on the cards sometime soon. I'll admit Jon has taken some persuading to put ourselves through another pregnancy but I didn't feel 'done', I don't feel done. I realise I may never feel truly done when such a huge part is forever missing from this family. But Zachary's pregnancy never really felt like it was going to be the last one. He didn't feel like my last. This isn't because he was a boy. No, the feeling of 'knowing' I needed one more were there before we knew who and what he was. So another baby, one that will be the last. I will be done. Four babies and three c-sections is enough. I'm ready for that to be enough. What if my fears of Zac's gender were unconsciously unfounded because he never felt like my last, that there still felt a chance for a girl? I know more than most that the gender doesn't matter, it isn't what is really important. But and I'm hesitant with that but, it would be so incredibly magical to be blessed with a girl. Magical and terrifying in equal measure. I would love to have a girl but more terrified than possibly ever before of the pregnancy. So much would be riding on a successful outcome either way, but a girl outcome. I don't know my body can do that. What if I can't carry girls, keep girls alive? And this is it. If our last baby is not a girl then we will never have a girl. I do not know how to begin to make my peace with that, how to process what that really means. The pain that would invoke. To never raise a girl; another secondary loss to add to the list there might be. But a girl. I cannot imagine the rest of my life without a girl. I'm not ready to let it go. It would be healing. I hope it would wash away all the feelings that surround other peoples girls. I hope it would heal my sadness and anxiety around other girl gender or birth announcements. Because my own life wouldn't be so empty of girl anymore. There is this chaos in my heart and mind between accepting what is and what might be. I know, I know I need to find healing over other's baby girls regardless of the gender of my final child. I feel horrible for these thoughts and so awfully guilty. Guilty and fearful that I'm being 'greedy' and that I should feel done already. Guilty, because I don't want any of my children, the boys or a hoped for future child to feel like they were not enough, or that I hoped they were something or someone else. I would hate for them to read this and accuse me of wishing they were girls. That is genuinely not the case. They are who they are and I've only ever wanted them to be who they are, from the moment they were named. My boys, beautiful precious boys. They need to know I accept them for who they are, love them for exactly who they are. My boys. Without question. I love being a mother of sons. Without question, regardless of gender, our hoped for third rainbow baby would be so incredibly precious, loved. And I know raising boys, raising boys is a beautiful experience, those beautiful boys who fill my life with love. I know a third boy would be no different and would add extra love, sparkle and colour to this family. He would be loved without question as much as Alexander and Zachary are. But a girl. Someone tell me how I would feel peace if we were not to have a girl. Am I allowed to love the life of boys I have been blessed with but remain feeling robbed of raising a girl? Above all else I want just a baby. Another baby to come home and fill this house some more, add to the noise, the chaos, the love. A baby that doesn't yet exist that we would be so desperate to bring home safely like their brothers. A baby that would have all our familiar hopes and ultimate fears wrapped around it. Fears. We're either very brave or very stupid to consider embarking on this again. I know that. But I also know we'll only ever regret the babies we could've had and didn't try for, we'll never ever regret the child that comes along, our last child, boy or girl. Day 25. Capture Your Grief. Choose Your Breath. 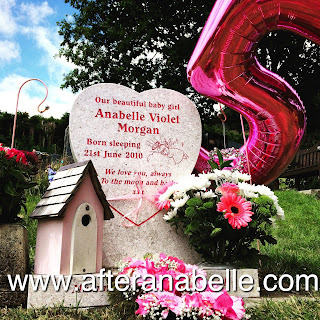 We wrote a love-letter to Anabelle in that week between her birth and funeral. We told her all about her family. Who her Mummy and Daddy were. How old we were, where we worked. We told her about the moment we found out we were expecting a baby and how excited we were. We told her about her scans, her first scan at 11 weeks, her second one at 15 weeks after a small bleed, and then her 20 week scan where we found out she was a girl and named her. How excited we were to be having a girl. We told her how pink was my favourite colour and it meant choosing beautiful girly clothes for her was going to be easy. We told her how we celebrated her girl-ness with pink champagne. How her Daddy had made a trip to Mamas and Papas to buy a big pink letter A for her name the day after her 20 week scan. How we had gone shopping the weekend after the scan to choose her very first dress. We told her how we had loved choosing and buying things for her. Special things. We told her all about how we picked her name, and what her name meant. That Daddy had picked her names and Mummy had decided whether Anabelle or Violet was going first or second. We told her how everyone was getting ready for her. How her nursery had been painted in a lovely lemon and pale pink. That her nursery theme was going to be hearts, butterflies and flowers. Girly girly girly. How we had chosen white furniture and a beautiful pink and white nursing chair. We told her how we had loved getting to know her. That we had enjoyed our evening led on the sofa watching her move around in my tummy. That her Daddy loved lying on my tummy and talking to her and that she would kick him in the face! How we put big headphones on my tummy for her to listen to music and how much she loved her baby classical music CD. That the first time I ever felt her kick properly was when we let her listen to music. We told her all about the record we had been keeping of her growing. Mummy filling in a pregnancy diary book each week about what had been happening and how I was feeling, and how each week I had been having a photo taken to see just how big I was getting with her. We told her all about the very special photographs we had been having taken with a photographer and that the last visit had been just two days before she died and how precious that was to us. We told her all about our hopes and dreams for her. That we had made so many plans for her. That we already had chosen her nursery for after Mummy had returned to work. That we had already put her name down for WaterBabies and we were so looking forward to taking her to so many baby groups. How we imagined when she was a little older we would taken her to ballet classes and how cute she would've looked in a little pink tu-tu. We told her all about the scare at 31 weeks where she threatened to come early, but that medicine helped and she stabilised and a scan before discharge showed everything was ok and that we just had to rest for a while. We told her how busy we were getting ready for her in that week afterwards. How we washed clothes and chose her going home outfit from all of her a pretty clothes; a pretty turquoise romper suit with butterflies and flowers on it in pink, a pink vest underneath, pink socks and a pink cardigan Nana had made for her. We got our hospital bag ready. We told her that Daddy had bought Mummy a very special present ready for her birthday. A necklace with 3 diamonds that represented our family, the biggest diamond for Daddy, the middle sized diamond for Mummy and the tiny little diamond for Belle. And then we told her that a week later she went quiet, and at 32 weeks and 4 days grown we were told her heart had stopped beating. That she had gone to sleep. We told her how utterly heartbroken we were. We told her how comfortable she must've been inside me because induction took five whole days. We told her what time she was born, what date she was born. How heavy she was. Who she looked like. We told her how she had her Daddy's nose and Mummy's mouth. We told her that she was a Monday's child as the poem goes, and that a Monday's child is fair of face. We told her how true this was and how pretty she was. We told her all about our time together. The 12 hours we spent with her, how desperately wanted she was, how we held her close telling her again and again how much we loved her. We told her about all the photographs we took, how we held her against how skin, how we took her hand and footprints, dressed and loved her. How the cardigan she wore was a special tiny one her Nana in those days while we waited for induction to work, so she had something to fit her perfectly. We told her how special the midwives were at the hospital that had helped us look after her, and had looked after us. How they had helped with hand and footprints, helped me dress her, helped us have some of her hair to keep forever. We told her about the special handprints we had taken on a special jewellery making it so we would be able to have her handprint on a bracelet for Mummy. We told her how Daddy was going to have a special tattoo just for her. We told her that handing her over and not being able to take her home with us was the hardest most painful thing we had ever done. We told her it wasn't supposed to be like this. We told her that we were going to put her memory box together, to keep all her precious things safe. The A her Daddy had bought, her first dress, the going home outfit that was supposed to be, the pregnancy diary books and special photos. the newspaper from the day she was born, the number one single, her birth certificates. That there would be so much more than that too. We told her about what we had bought to wear for her funeral. We told her about her story book, Guess How Much I Love You, and told her she couldn't possibly ever guess how much we loved her. We told her we would be reading it to her each year on her birthday. We told her about all the things we were leaving to be buried with her. A photo of her with her Mummy and Daddy, the first toy we had bought her; a little soft zebra and rainbow rattle, a tiny teddy bear for her to cuddle close, the blanket her Nana had made for her so she was kept warm, and of course this love-letter so all the words of our love were right there with her, always. We told her how unbearably hard it was to have to say goodbye, that we couldn't bring ourselves to do it but that we had no choice and we had to let her go soon. We told her she was going to be in heaven with Jesus and that we knew her Great-Grandad would be looking after her. That we knew how much he would love her too because he had always loved me. We told her how much we would miss her. We told her so much in this one letter. Four and a half pages of typed A4. But it never seems enough. Because it wasn't supposed to be like this. How I wish our love-letter to Anabelle could've been like the love-letters to my sons. Like their blogs that were written every month for their first year and have been six-monthly updates after that; blogs that tell them all about them at the age they are at the moment, how wonderful they are and how loved they are. I wish Anabelle had that too, growing up letters. Growing up memories. Day 23. Capture Your Grief. Love Letter. Rituals are what get us through those important dates, those difficult dates. A plan quickly became incredibly necessary. A plan to give meaning to those dates, a plan so we knew what to expect of those dates, a plan gives us strength for those dates. I guess Anabelle's birthday, christmas, special dates have become a ceremony of sorts. I always see her birthday in. I see 00:08, the time she was born, on the clock before I get into bed. I see her moment in and then I sleep. Much as I did the day she was born. Oh how I wanted to stay awake with my tiny girl but after labour and morphine working its way through my system, my eyes could no longer stay open however hard I tried. On her birthday we get up. There are tears and sadness. The weight of the 21st June is so heavy on my chest. I breathe differently on her birthday. It aches. Then we leave the house. Taking with us her birthday gifts that will decorate her garden, her book that we'll read there. This year on her fifth birthday those gifts were garden fairies. We collect her birthday posy from the florist. The same florist where we ordered her funeral flowers and have collected flowers for each year on her birthday since. Then we collect her balloons from town. A big number balloon that decorates her garden and shows everyone visiting how old she is, or she should be. And two others balloons to send to her in the sky from her brothers. Then when we're ready we make our way to her garden. We tidy it up, making sure her headstone is as clean as it can be. I trim the grass around the headstone so it all looks neat. Then we fill the pots with flowers, flowers in pinks and whites. We place her gifts on her headstone. We place her posy. We tie the big number balloon to her headstone. We sit and read her story, the boys run and chase bubbles. And then we send her balloons to her. One for Alexander to release. One for Zachary to release. Pink balloons for our girl, their sister. This sending balloons always feels the most poignant part of her birthday to me. Almost like sending a piece of ourselves to her. The balloons feel like the physical connection between us and her on her birthday. After the cemetery we go for a drive or a walk. We take a pause. Allow the boys a sleep in the car and a time of quiet for us. Sometimes we find ourselves at Keeper's Pond. Sometimes we send balloons from Keeper's Pond. And when we go home the rest of the day becomes about creating her home garden. Each year we buy pink bedding flowers and create pink beauty at home like we do in her cemetery garden; but I guess I'll save more on this for another topic in a few days. Then there is garden play, cake, the boys bedtime and then candles to see the remainder of her birthday out. This is the routine on her birthday now. The rituals on her birthday now. We need it this way; its this that keeps me together. The plan. Always the plan. I dread the day I'm supposed to work on her birthday. I don't know how I will get through the day intact without these rituals, these routines. The last time her birthday fell on one of my working days (and I wasn't on maternity leave!) I was owed a day in lieu, which worked out well for me, and for my need to get through her birthday in the only way I know how. Next year her birthday is on a non-working day but after that there are three years of birthdays where I will be in work. Where I should be in work. Gulp. I'm not in a job where I can just book days off, my time off is dictated by school closure time. Maybe by her 7th, 8th, 9th birthdays I should be better than this. I'm sure some people will wonder what the big deal is. But we've just had her 5th birthday and I'm no closer to feeling anywhere near like I cope with this day. The rituals gives us elements of it that are bearable, but its a day where I feel immense pressure, immense grief. Each year I react more violently to her birthday, each year feels more chaotic than the last, each year more and more painful, somehow. I don't feel mentally, emotionally or physically well on her birthday. But I also realise it is unrealistic to expect to have leave of sorts on her birthday indefinitely. I dread the day we might, we'll likely, have to deviate from the plan. Day 22. Capture Your Grief. Rituals. This is where we wrote Anabelle's eulogy. Keeper's Pond on the mountain pass near Blaenavon in South Wales. Throughout our pregnancy with her we had used this mountain pass between Blaenavon and Abergavenny often. A prettier route than the alternatives from the hospital and our home. After she died it became the quiet space we needed to sit for hours. We sat for hours and we wrote. Everything we wanted to be said at her funeral; all the joy in our pregnancy, how excited we were about her, how in love with her we had been from the beginning, how very special it was to find out we were having a girl, how very precious she was and so very wanted and loved. This place became Belle's Mountain. Since we lost Anabelle we continue to find ourselves at Keeper's Pond. We've been here just to walk, just to sit, just to take a pause. We've been there to send balloons on her birthdays, we've been there to attempt sending lanterns in the darkness of the night at 00:08 and mark the moment she was born. We've been there just to watch shooting stars. It is often very cold and very windy at Keeper's Pond, but it is our quite place. Our sacred space. Somewhere else for our girl. Day 21. Capture Your Grief. Sacred Space. I think I'm getting better at forgiving others. These last 12 months a part of me has thawed considerably. I think I'm less hard than I was. Twelve months ago I let someone back into my life after four years of no-contact. I never thought I would be in this place. Some forgiveness takes much time. I also think forgiving is not the same as forgetting. I don't have to forget. Some general insensitivity and stupid thoughtless comments I can handle better, some I can let go over my head now and put it down to simply 'not understanding' - especially from those that don't know me as well as others. Sometimes I just don't have the energy to correct or do anything else but let it go. Sometimes I just process it inwardly. It isn't true all the time of course, and I think it very much depends which part of the year we're in. News reports of murdered and ill-treated children that would have floored me a few years ago, furious that some evil excuse for a parent could do that to their child and not realise how lucky they were to have them in the first place. Reports like that used to greatly bother me, anger me. Why were they allowed their child to do that to them when mine who would've been so incredibly loved always was taken away from me. I would rage at the unfairness of it all. Anger. Of course reports like that still bother me. But it is slightly different now. Now I feel less anger at the adult in the situation and instead imagine how terrified that small child must have felt. Now they bother me because I unintentionally imagine Xander or Zac in that child's shoes, knowing their fear. I'm bothered now because a motherly instinct takes over, knowing never in a million years could I do that to my children. The news is hard to listen to sometimes when you have children. I'm getting better at 'forgiving' others. But I guess I'm not really any better at forgiving myself. That familiar heavy guilt remains there. Guilt especially surrounding Anabelle's death. Rational and irrational thoughts battle on. I wish I could've saved her. She should've been safe inside me but it wasn't true. The guilt that my body let her down is immense, and still 5 years on I've not really the first idea how to make those feelings go away - two rounds of counselling have not helped with that. I often wonder if Anabelle forgives me. Because there are parts in the lead-up to her death I could've done differently, if only I was more aware, or less concerned with 'making a fuss' or what the midwives at the hospital would think of me. What a stupid stupid girl I was. The possibility of her dying did not really cross my mind until it was already too late. I should've been more aware. Less naive. Maybe then I would've made different decisions and maybe life would have a different outcome. I paid the greatest price for it. I'm often told I am too hard on myself, and maybe I am. Recently this song by Jess Glynne has been resonating with me. Maybe I should take more notice. The forgiveness of self is the hardest kind of forgiveness. Day 20. Capture Your Grief. Forgiveness. Stargazer was the last piece of music I listened to with Anabelle, as her Daddy carried her back out of the church at the end of her funeral service. You don't ever imagine you are going to have to choose music or songs for your child's funeral. You don't ever imagine you're going to have to choose anything for your child's funeral. We had a week to prepare between her birth and funeral. A week of visits from funeral directors, visits to the florist, hours sat on a mountain writing her Eulogy, visit shops to find the pink outfits we were going to wear to our daughters funeral, hours sat at the computer trying to decide how her order of service should be, hours spent pouring over hymn books and CDs deciding which pieces of music and which songs were going to be heard and sung at her day. Soul destroying hours. Broken hours. Anabelle was carried into a Gymnopedie No.1 by Satie, carried out to Stargazer by Hawes and in the service we sang children's hymns for her; Jesus Loves Me, Gentle Jesus Meek & Mild and There's A Friend For Little Children. I couldn't choose those 'classical' well known hymns for her, they were so adult, so irrelevant. So instead I remembered the children's hymns from when I was small; and this for us seemed the perfect fit. Children's hymns for a child's funeral. A child's funeral. It shouldn't have been like this. Oh it was so important to me that Alexander and Zachary had their happy day in church. 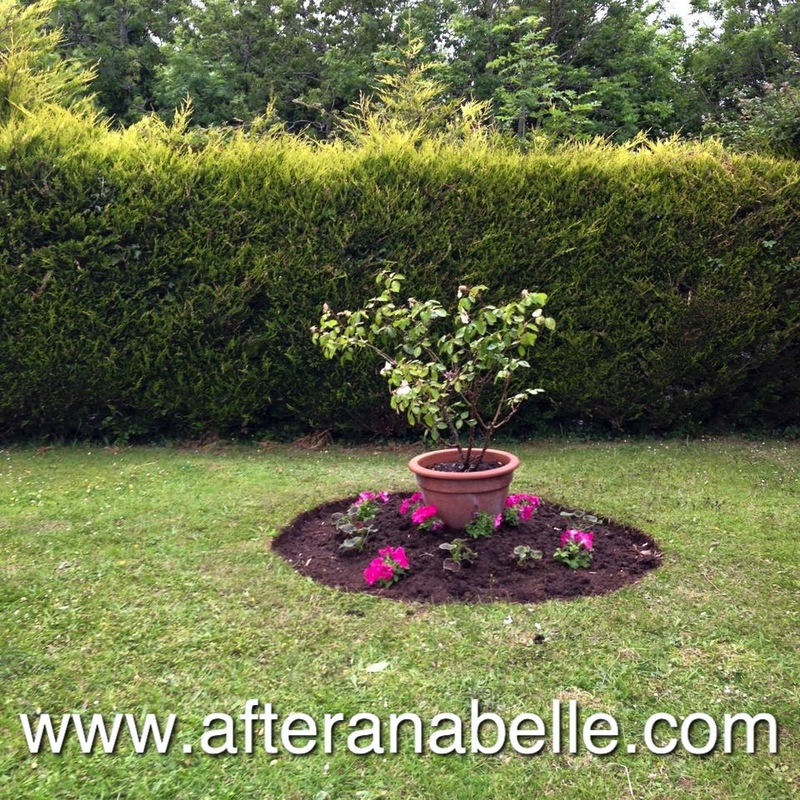 After Anabelle's only day being her funeral I needed a service for my children that was something else. A celebration of their life, that they were alive. Their Dedication days, choosing the hymns, the readings, the outfits and all of that. I needed that. Beautiful memories made with our rainbow boys. Anabelle's music; Gymnopedie and Stargazer came from this CD; Classic FM for Babies. We had spent hours listening to this music when we were pregnant with Anabelle. She enjoyed this CD. I sat in bed for hours with big headphones on my tummy, watching her roll and kick as she 'danced' along to the pretty music she could hear. So beautiful. Anabelle loved music. It is a long time since I've been able to bring myself to listen to any of these pieces of music. They break me. Music is so powerful at triggering memories and flashbacks isn't it. Sometimes it is just too painful to face. But I will finish with this. The video I made for Belle's 2nd birthday, playing Stargazer. Day 19. Capture Your Grief. Music. On Anabelle's 4th birthday we bought her a book about the seasons; Sleep Little Angel and I will sing of summer and winter and autumn and spring. Another beautiful book to tuck into her memory box, to read with her brothers. Anabelle was born on the longest day of the year. I've always thought there was something rather beautiful about that. My beautiful girl; with only one day that is really about her and she chose to arrive on the longest day of daylight. The longest birthday. It was a beautiful summers day the day she was born. The sun shone. It shone the day she was buried too. The weather did not match the occasion. This perfect summer weather and we were broken, and smothered under black clouds. But the sun shone and ever since her birthdays have been sunny, some more than others; but all dry, all sunny. Her 4th birthday was particularly hot and sunny. So hot and sunny that I burnt quite spectacularly, there was suncream, but clearly not enough suncream! My favourite memory from that summer sunny birthday was eating a KFC picnic on a blanket over her grave. And now I think there is something rather beautiful about that. Now I'm glad it was sunny on the day she was born, and sunny on the day we put her forever to bed. Day 18. Capture Your Grief. Seasons. You lose so much more than a baby when your baby dies. We lost everything Anabelle was, and everything she would've been. We lost who she was going to be at one, at two, at three, at four and now at five. We'll keep on losing those years and those birthdays. Stolen birthdays. We've already lost the first time she smiled, slept through the night, crawled, first steps. The first Christmas she would've understood about Father Christmas. We've been robbed of the dreams we had of dressing her up in a little pink ballerina costume and sending her to dance class, we've been robbed of her first day at school, we were robbed of her presence on our magical trip to Disney and being duped into buying her Princess Belle toys, dresses and things. Pretty soon we'll have lost the time her first tooth fell out and we got to play tooth fairy. We're going to be robbed of the day she would've started Junior school. The birthday where she went into double figures and that big milestone. The day she started high school. The day she became a teenager. The day she bought home her first boyfriend. The day she got her GCSE results, A level results. The day she had her 18th birthday, 21st birthday. We've lost her adult-ness. The day she might've gone to uni, graduated, had a wonderful career. We've lost the day she might've married and instead Jon had the most cruel alternative of walking his daughter down the aisle. We've been cheated of the exciting time when she had her own children. We've even been robbed of those grandchildren there might've been. We didn't just lose her, we lost all those milestones, all those dreams. We lost an entire future and a world where she lived. That list of secondary losses is endless. I lost myself. Part of me died with her. I changed. I didn't know who I was anymore. Lost youth, aged beyond my years overnight. Lost. I was just lost. Lost trust in my own capability to make decisions when it matters. Five years on that ripples on. Plagued by fears and doubts. Slowly slowly rebuilding. 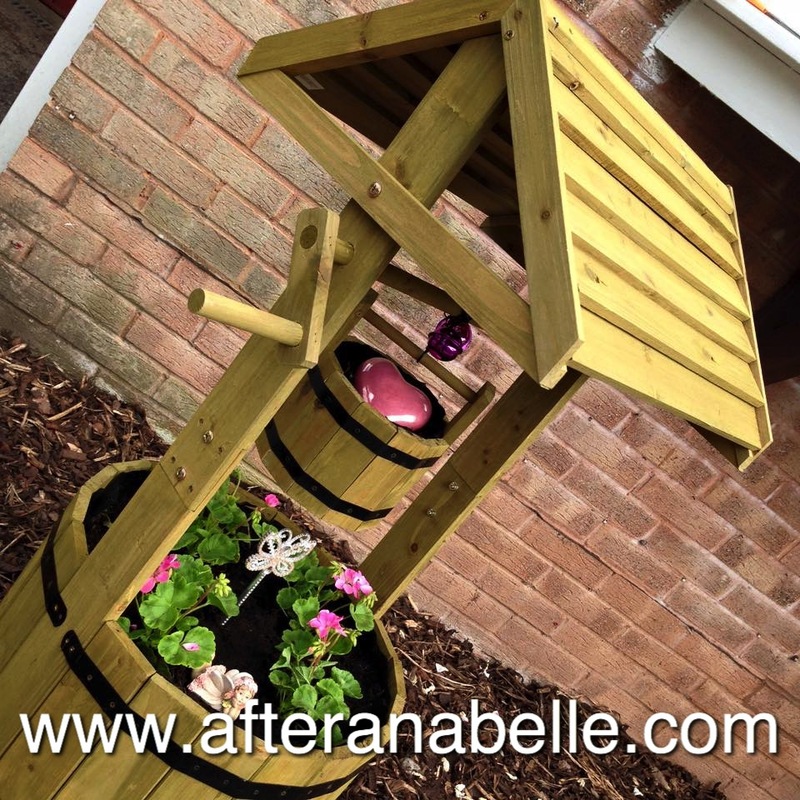 A life of before and after Anabelle. It is likely losing my daughter is the defining moment of my life. We lost the pure joy of pregnancy. We have such beautiful rainbow boys and we're so amazingly lucky they got here safely and came home, but the journey to get them here was dominated by fear. Today my 'On This Day' memories on facebook included my post when we were on the way home with Alexander; exclaiming that it was one of the very best moments on my life. And it was. Walking out of those hospital doors pushing my pram with my newborn baby in was euphoric. Being lucky enough to repeat that experience with Zachary was amazing because I'll never forget the feeling of walking out of those doors without my baby; the car just 100 yards away and me barely being able to get there because I was on the verge of just collapsing with grief. Pregnancy is frightening now. A fear that doesn't subside when you have that all-important end of first trimester scan. Fear that grows as your stomach grows. Fear of another death, another funeral, a fragile heart destroyed knowing you wouldn't survive this again. Knowing an often fragile mental state would never be this intact again. A fear that isn't just for your own. A fear that ripples out through everyone that matters to you. I'm anxious when my friends, family are pregnant. Anxious because I so desperately want their babies to get here safely too. Relationships were irreparably changed along the way. We lost friends along the way. Grief upon grief. The worst of it is secondary losses like this are not unusual. I'm not one of a few bereaved parents who saw a different side to people they loved, lost relationships with people they loved. Bereaved parents are not always faultless in this, not by any means; Grief is ugly and selfish and brings out the less desirable side of you too, reactions that could be better. Things that should be left unsaid. This is true of us. 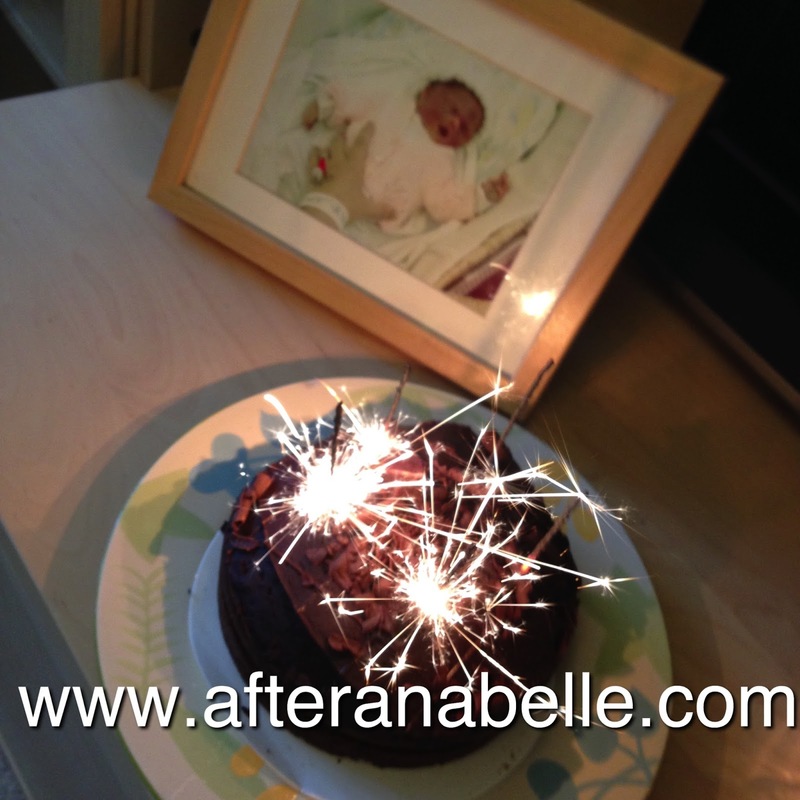 Two years ago, around Anabelle's third birthday, I reached crisis point. I reacted emotionally violently to her birthday, to other peoples events that coincided with her birthday. I did not cope. I couldn't cope. I handled it badly and I was handled badly. And none of it can be taken back now. Bereaved Parents are so often misunderstood. I had obviously been doing a good job with 'the face' because dear friends said to me they hadn't comprehended how much her birth, her birthday, still affected me. It was her third birthday I realised I was most probably suffering from some sort of grief related post-traumatic stress disorder. Because her birth was traumatic. And every year I relive elements of it. Every June I'm stuck in a cycle of flashbacks and time standing still in 2010. Misunderstanding is what leads to so many more secondary losses because not everyone can manage a lifetime of Empathy. Because how can anyone really truly possibly even begin to realise the forever impact of the death of your child unless they have experienced it themselves? In those earlier days it was harder to forgive people that. And despite it all I miss those friends. I miss them and I wish it was different. Five years on and the reality is the secondary losses will probably not stop there. Day 17. Capture Your Grief. Secondary Losses. Writing became my solace, my way to organise my thoughts, my expression of grief, my healing. In the first year after Anabelle died some of that writing came in the form of a poem. Poems came before I blogged. The first one I wrote was the day she should've been born; her due date. I don't even really remember writing it. In those weeks, months after her funeral. I've lost them. That summer is all a hazy blur. I know events that happened, but I don't remember living them. I was floating in a bubble; drifting from one day to the next, trying to block the sound of the world out, trying to remember how to breathe. Then at the end of September 2010 that bubble burst and the world suddenly felt so very very noisy and I was on the floor, crushed. I could not breathe. I found myself at a counselling office specialising in pregnancy loss, not even knowing how I got there, sobbing and sobbing as the utter forever realisation of life without our little girl really started to hit. The bubble burst and this blog started. Writing became my creative grief. Telling the story of Anabelle, our family and my grief journey. Day 16. Capture Your Grief. Creative Grief. Anabelle was here and gone too soon. Anabelle our hearts are broken and torn. And wish there could’ve been another way. And things will never be normal again. Fair of face and beautiful as can be! It seems to make her invisible to you. Anabelle deserves your recognition too. We need to talk about her for hours and hours. This nightmare is never ending. Anabelle we’ll never stop missing you. Anabelle this is all just so wrong. Anabelle how does life go without you? And now Belle plays with beautiful angel things. Let's call this post 'A Tale Of Two Birthdays'. This week we celebrated our biggest rainbows 4th birthday. On Day 14. So it made sense that my expression of heart would be what birthdays are in our family. 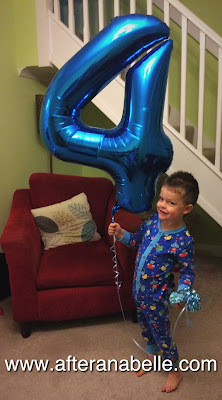 I can hardly believe my boy Big is already four. This last 12 months he has done some serious growing up; his third birthday of course he seemed like a big boy but still so small really, still a baby really. This year he has started half day school in Nursery class and his world has got so much bigger. He is so much bigger; but that is all for another blog post. The boys birthdays are so precious. Joyous beyond words. Those boys that came home and have birthdays the way they are supposed to be. Birthdays where there is a birthday party, an enormous fuss, huge excitement about their 'new birthday number', a birthday tea, at least two birthday cakes, sometimes three; what with party cake, birthday tea cake and school/nursery cake! A birthday with photographs and an annual message in a birthday book and an annual video made. A birthday with toy shop visits, new toys, presents, wrapping paper, mess. Beautiful happy mess. Alexander had a birthday this week. It looked like this. Currently my living room is littered with his new toys and at least 30 birthday cards sit on our windowsill. Saturday he had a beautiful busy party full of friends and fun and laughter. Sunday we had an awesome day out at Legoland, a birthday treat for our boy. Wednesday evening our home was chaos as family members joined us to celebrate his day. Wednesday evening I published his annual video; the snapshot of the year past of all the memories made and beautiful photographs of my boy when he was three, just as I have done every birthday past. Just the way birthdays should be. 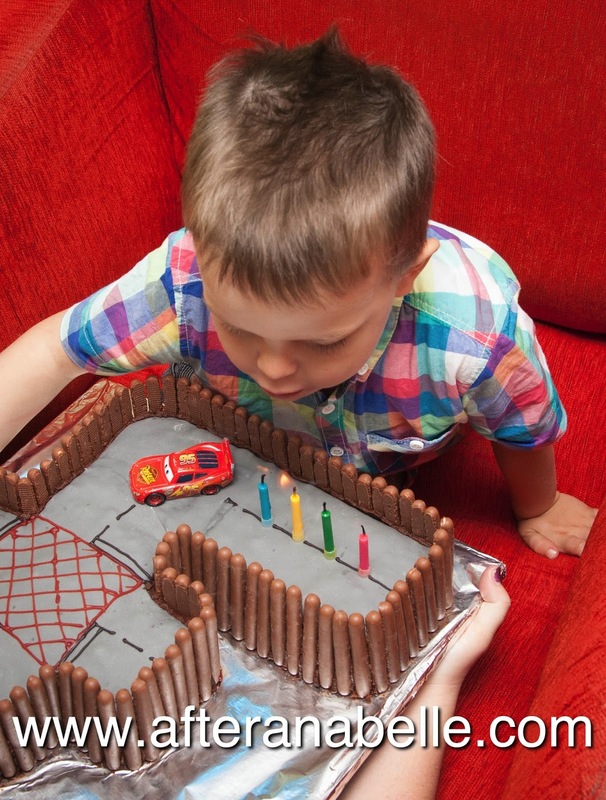 I know I could be accused of going over the top with those boys birthdays. But the simple fact we have those precious days with them makes me want to give them the world, the absolute best birthdays, memories to last my life time, because I've already been robbed of so many for one of my children. Every one of their birthdays I feel so overwhelmed that we got to keep them, that we still get to keep them, that they lived, and live and I've watched them grow for another year. My boys. Anabelle had a birthday in June. She was five. Or she should've been five. There was no party, no excitement. There were no new toys. There was no party or big family birthday tea. There was no big birthday day trip. There was no birthday book or video to snapshot her last year. Instead of visiting toy shops we visited the florist and a garden centre. Instead of buying toys we ordered floral decorations, fairy ornaments and a wishing well planter for our front garden. Instead of a party and presents her brothers released balloons at her grave, chased bubbles in her garden and helped plant flowers in ours. Instead of birthday cards we chalked messages onto stepping stones. On yesterdays post regrets were supposed to be joined with triggers. Her birthday is my biggest trigger; a month long downward spiral where my mental state of mind suffers the most. Her birthday is painful. We try to make it beautiful, full of love, but it never feels enough, because little girls are not supposed to have flowers and ornaments for their birthdays. This little girl should've done huge amounts of growing up this last year too. She should've finished Reception class and started Year 1. I always wonder who she would've been, what she would've known, what she would've loved, who her friends would have been. What would her favourite things have been at five. But they both had their big birthday number balloons. And they both had cake. In six weeks we'll do it all over again for Small. This is a tale of two kinds of birthdays. Day 14. Capture Your Grief. Express Your Heart.